The sporadic LTTE commemoration events observed in the North and East provinces are part of a bigger campaign by extremist groups to gain funding from Diaspora groups, UNP Minister Navin Dissanayake said yesterday. “This is an organised campaign that is being carried out; it is not limited to the North and East. It played out through using the internet to win the money of the diaspora. We are aware and alert about the issue. We strongly condemn any attempt to celebrate the LTTE in any way. We have instructed the tri-forces to ensure that immediate action is taken when information on such events is received,” Dissanayake said, speaking at a media briefing held in Sirikotha yesterday. However, he said the situation is not as bad as it is made up to be by the Opposition. 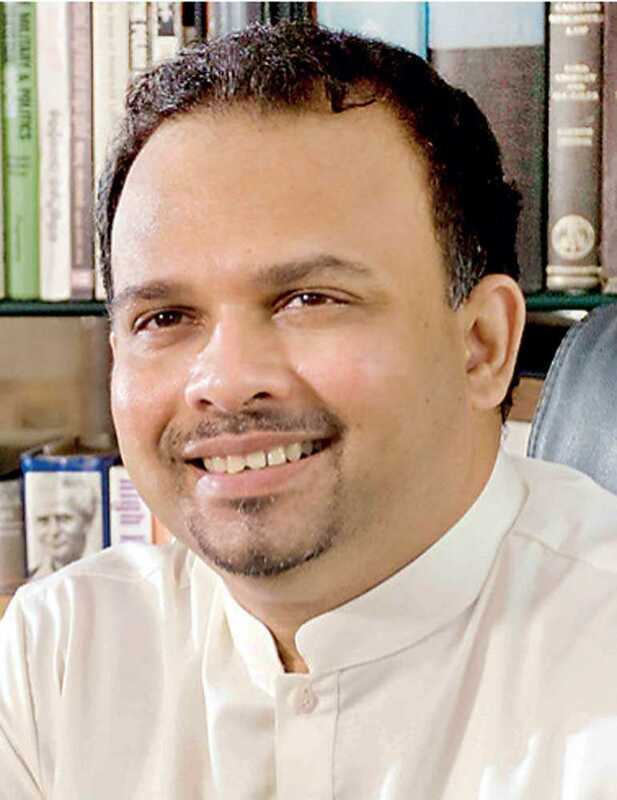 Critical of the fear-mongering tactics employed by members of the Opposition, giving rise to communal disharmony, Dissanayake yesterday said that his party will not tolerate any terrorism. “We know they are trying to create new problems using the situation in the North and the East. But, we are ready to face any situation. We have a good army, we have a good army commander, and President Maithripala Sirisena is a good leader to the tri-forces. We are ready to counter any terrorist threat. LTTE will not rise again,” Dissanayake said. Assuring that the UNP will not allow the LTTE to rise again, the Minister said that the UNP will always work against the terrorist group. “We are opposed to the LTTE, we will always work against the LTTE. Sajith Premadasa and I will work against the LTTE. Our fathers were killed by the LTTE. As long as we hold positions in the Party, we will not allow the UNP to hold any other opinion,” he said. Condemning attempts made by the opposition to stir communal disharmony, UNP Minister reaffirm that the Government will not tolerate any person or group which advocates terrorism or communal disharmony. The UNP is committed to reconciliation and will work against any form of bigotry, the Minister assured. Responding to a question by a reporter on the status of the disciplinary inquiry against former State Minister and Northern Province MP Vijayakala Maheswaran, whose controversial statement calling for the revival of the LTTE received criticism from different political and civil society groups and resulted in her resignation from her post in the Cabinet, Dissanayake said the investigation is still ongoing. The Minister said that the Government has asked for the Attorney General’s opinion on if the MP has violated the Constitution, and said that it would take at least two more weeks to arrive at a decision on the matter. Dissanayake said that the UNP-led Government is also committed to safeguarding and maintaining the independence of the Judiciary and media even at the risk of losing the next elections. “We would rather go home in dignity than comprise the independence of the Judiciary and media,” he said.